With Christmas upon us, or a party day coming up you make some last minute checks – typically while setting up the outdoor lighting and that is when you realise that garden cleaning on the 'to-do' list was kept for last and not attended. Two days to go what do you do? 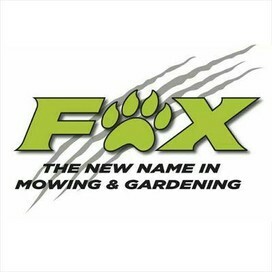 Your best solution is to call FOX MOWING at 1800 369 669 or 1800 FOX MOW across Australia. We and our franchisee's cover most of Australia and we will respond immediately to your emergency. Our range of services includes Lawn Care, Fertilising, Garden Care, Weed Control, Pest Control, Hedging and Topiary, Garden Maintenance Services, Landscaping, Gutter and drain cleaning. Hell, we could even give you a hand with your lighting decorations – it's Christmas or party time after all! Fox Mowing is not just any bunch of lawn mowers – we are a bunch of crazy professionals who love to pamper the customer's lawn and garden with extra care, attention and dedication. We begin with giving your lawn a health-check to identify any common problems that you might have to address. We take care of stuff like weeds, rodents, ants, bugs and other seen and unseen pests which if left unattended, can play havoc with your garden. All the pesticides we use are organic and harmless to your plants and pets. Our team also has experts on every type of grass available. We can even help you with your lawn irrespective of climatic conditions. We can even ensure your grass grows well in the shade by planting certain varieties of grass that are shade tolerant. If on the other hand your place receives too much fierce sunlight, we have grass varieties for that too. We can even nurture your lawn by giving it a tonic to grow nice and lush and be always healthy and in peak condition. We have soil experts too. If your lawn or plants are not responding well, we can test your soil to determine acidity levels and nutrition levels. We have treatment for that too. In many cases we find poor drainage is causing water-logging resulting in poor quality lawn or garden plants. We can repair that too. We have gutter cleaning & drainage experts who can set it right. And finally, the Killer Haircut – your family and friends will be amazed that your lawn looks so nice. So all is not lost. Just dial 1800 369 669 or 1800 FOX MOW across Australia and FOX MOWING will move heaven Earth to ensure you garden is in peak condition and ready for be it Christmas or your party. If you need any garden work done or Mowing Franchise Opportunities Australia think Fox and give us a call 1800 369 669 or inbox our page!